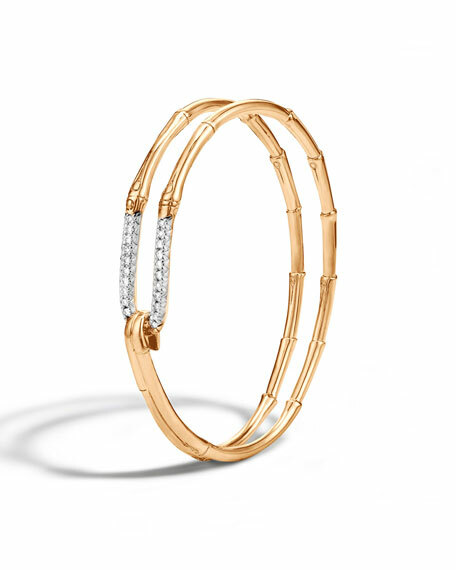 John Hardy cuff bracelet from the Bamboo Collection. Curved frame with white diamond pavé. For in-store inquiries, use sku #1603331.